by DK | Apr 9, 2016 | . 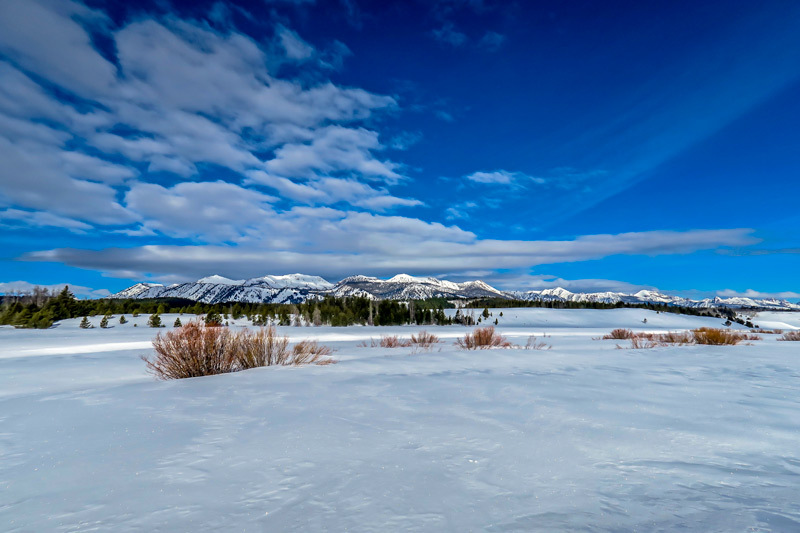 The ski trails at Alturas Lake are no longer recommended for your skiing enjoyment. On Friday, April 8th, trail signs and grooming equipment were pulled from the west side of the creek as grooming efforts skittered towards an ultimate denouement for the 2015 – 2016 season. Faintly scratched marks were left behind on the bumpy deteriorating trail as Davinius pulled a parade of implements across the early morning snow fields but the result could hardly be called grooming… it was more of a final retreat. The last trail signs on the east side of the creek and the plywood shields from the bridge crossing will be pulled on Saturday or Sunday. Tree wells are growing ever larger in the hot afternoon sun and old ski tracks buried in the snow pack have reemerged, morphing in daily cycles of mushy grooves and icy ruts. Fine corduroy and crisp classic tracks are but a memory. The good news is that off trail cold morning crust cruising continues to be mind blowing and is a special treat if you can catch it while it’s good. by DK | Apr 2, 2016 | . 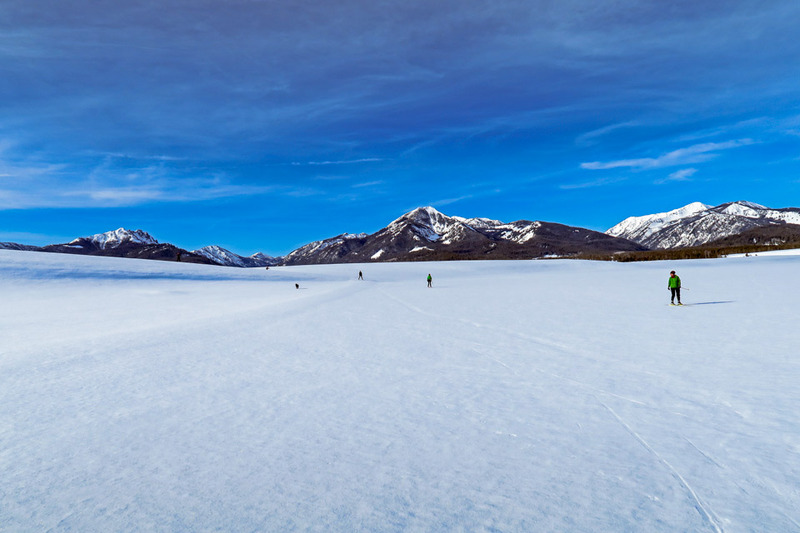 The ski trails at Alturas Lake were last groomed on Tuesday and Wednesday, the 29th and 30th. However, incredible morning crust cruising conditions in the Sawtooth Valley make them seem superfluous at this time. This has to be the best crust in several years and is sure to bring a smile to your face.